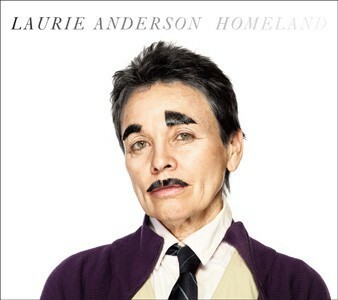 I’ve been a fan of Laurie Anderson for as long as I can remember now so I was so pleased to finally get my physical copy of Homeland together with a signed 12″ of ‘Only an Expert’. Homeland is a great album. I remember seeing Laurie Anderson perform it at the Barbican a couple of years ago. What an amazing show that was. One of the things that I really enjoy about her music and especially her lyrics is the way she sees things from a very different perspective to the everyday. It’s more than just a step back and look at things with fresh eyes, it’s more of a step back and to one side and repeat for quite a while. If that makes sense. Getting a different perspective is so important. I constantly find myself bombarded with news and opinion from every direction, be it the internet, TV, radio, print. Sometimes in the midst of all those competing opinions it is hard to find your own perspective, your own voice. Listening to Laurie Anderson reminds me that it is still there. Next Entry:When did I stop listening to music and start consuming it?